This week many fans will finally get to continue a story that started all the way back in 2002. 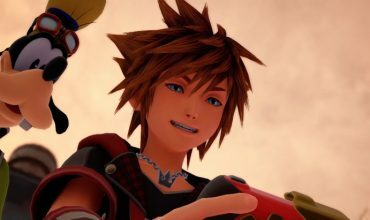 But if you missed out on the games so far, or perhaps you only started hearing about it now when you saw people were really excited for Kingdom Hearts 3, you might have a few questions. 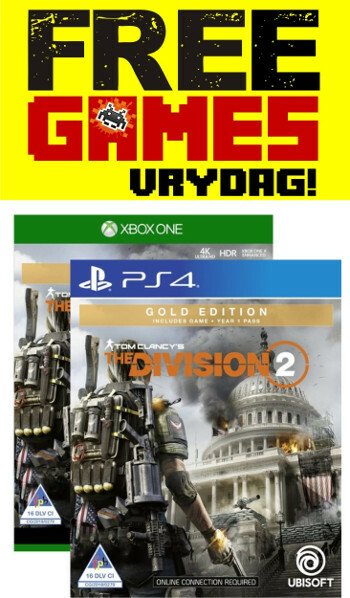 What is this game series that people are so excited about? What is Kingdom Hearts and wait, is this a Square Enix game with Disney characters in it? 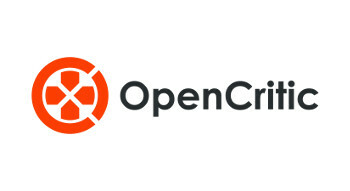 If you feel confused, this should help explain why you might want to take a look. Sora, Riku and Kairi are best friends. They have been together for ages, spending most of their free time on a small island a short distance from the town they call home. All three of them wish for something more than their small town and tiny island, dreaming of bigger things. Then tragedy strikes and the three are separated, and Sora must go on a long journey to find his friends. On the way, Sora meets new people and makes new friends, but all three find themselves in a grand scheme with a villain hoping to remake the world to his idea of perfection, wiping out what already exists in the process. But it is also a story of another three friends. And another three too. 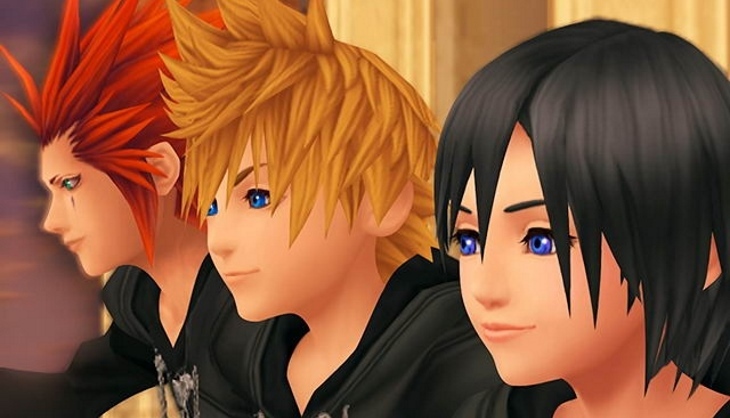 Kingdom Hearts has a predilection with threes and soon players of the Kingdom Hearts series will find themselves with another three friends: Roxas, Axel and Xion then a final grouping of Aqua, Terra and Ventus. 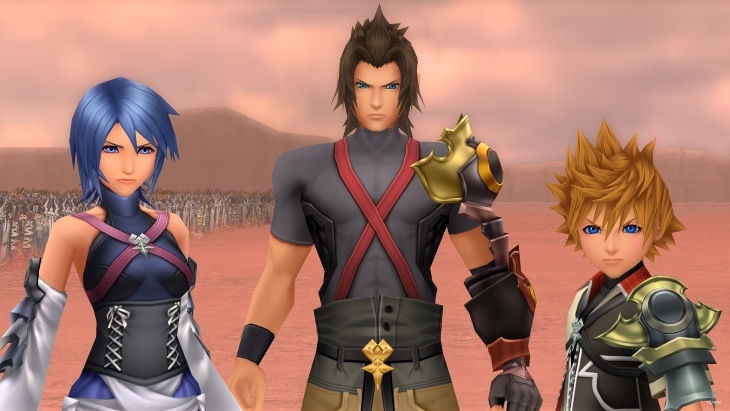 By playing games involving these three groups of three, players will start to see the full scope of Kingdom Hearts, a series with lying, misdirecting villains and backup plans for backup plans. There is also a strong connection between the three groups, especially Sora, Roxas and Ventus. Many great tales focus on the idea of good vs evil, light vs dark. In Kingdom Hearts there is the capacity for darkness in everyone and this Darkness can cause untold harm if left unchecked. Succumbing to Darkness creates a being known as a Heartless, creatures that appear to be made of shadows. These dark beings seek out the Light in others, consuming it to make more Heartless and can even consume the Heart of a world. The only way to prevent this is to lock the way to the Heart of the world with a special magical weapon called a Keyblade. Keyblade wielders can actively confront the Darkness and Sora finds himself travelling from world to world to try to prevent the spread of the Darkness. This is where he meets some new friends that will be familiar to just about anyone. 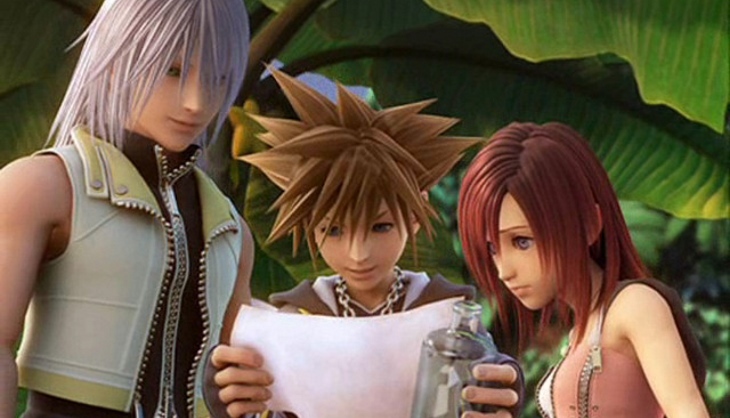 Once Sora is split from his friends, he is discovered to by two others also on a quest to find a missing person of importance. Goofy and Donald Duck are looking for King Mickey, who left the kingdom suddenly. This court magician and knight-captain of the guard quickly befriend Sora, and a long, amazing journey begins, travelling to many other Disney worlds. The trio will meet characters from all through Disney’s storied past, from Maleficent to Disney princesses, Pinocchio to the characters of Tron. These are the worlds that set the stage for the game, and on each one, the Heartless are trying to reach the World’s Heart. Sora makes friends with many of these family favourites and has to fight the likes of Ursula and Jafar, who wish to manipulate the Darkness for their own gain and nefarious deeds. If you ever wanted to spend more time with your favourite Disney characters, Kingdom Hearts offers up many opportunities, and even a chance for some of these characters to join your party for a while. From training in the arena with Hercules and Phil, to visiting the underwater kingdom of Atlantica with Ariel or helping the residents of the Hundred Acre Wood, players end up travelling to many fun destinations. Kingdom Hearts isn’t just about familiar Disney characters, as Square Enix has added a whole bunch of new characters into the mix. From fun cameos like Cloud Strife battling to save a lost friend or Auron as a young Guardian, Final Fantasy fans will get to see old characters in some new situations. It doesn’t end there though. Dozens of new characters have been added to glue the narrative together between what happens in each world and sometimes the characters end up in worlds that don’t come from Disney, often places ravaged by Darkness. Sora and company quickly find themselves up against enigmatic characters who want to control the Darkness and the Heartless. 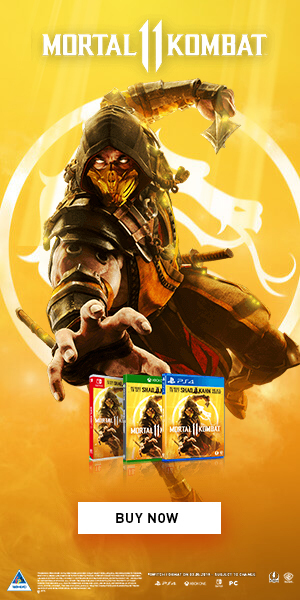 A shadowy organisation tries to manipulate all the pieces on an intricate game board, and the grandmaster at the centre of these machinations is a memorable, scheming villain who doesn’t even reveal himself in the first game. This villains’ intricate plots, his manipulations and half-truths spin a complex, tangled web that he uses to confuse his opponents and get what he wants. 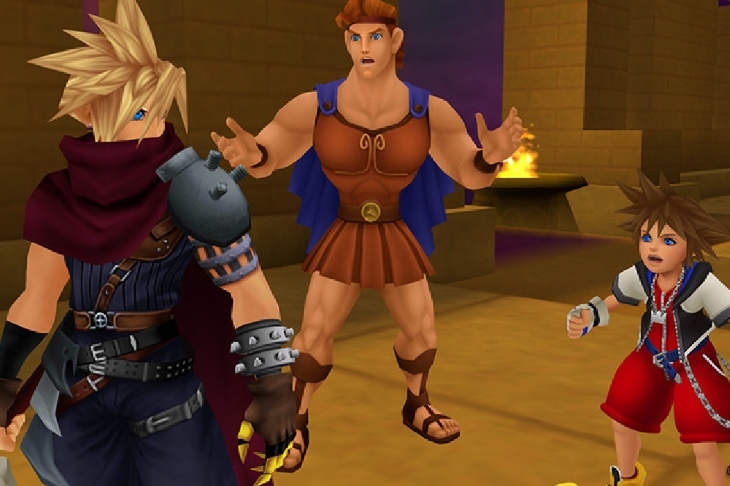 Where else would you see Final Fantasy VII’s Cloud alongside Hercules? While many characters are quick to dismiss Sora due to his lack of physical prowess or mastery over a Keyblade, Sora’s true power gives him strength beyond their imagining. This ordinary youth, a character that is rather relatable and likeable, isn’t strong because he is a master fighter or a genius tactician. Sora is strong because of the friends he makes on his journey and all the hearts he touches. 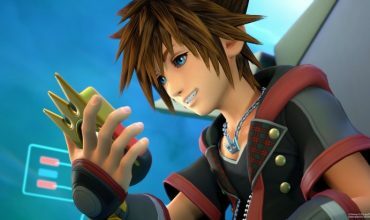 In a world where the power of a heart is literally a source of magical energy, Sora’s ability to touch someone’s heart and befriend them means he never truly faces an enemy alone as those connections make him stronger. Kingdom Hearts is an actual location, a nexus point that connects all of the hearts of the various worlds. It’s full powers and purpose aren’t known to players, but the villain believes that besides it being a source of great power, it will help him achieve his ultimate goal. Kingdom Hearts is possibly the heart to everything, every world and if it were to succumb to Darkness, Light would be lost forever. Kingdom Hearts takes characters that you never imagined would work well together and puts them together in a magical JRPG world where your favourite Square Enix characters join forces with your favourite Disney characters to fight villains that threaten to destroy the worlds of all of them, with you right in the middle of that big fight. It is unique and is definitely greater than the sum of its parts. This is Kingdom Hearts.